You are going to LOVE this recipe! It is Super easy, Super speedy, and SUPER tasty! I think I like the word super, huh? If you are looking for a classic tasting meatball this is the recipe for you. I have been making these meatballs for years. I used to make them from scratch but with all the hustle and bustle in our lives these days I just use frozen meatballs (perfectly acceptable!) and throw them in a pot or crock pot (works either way), add the sauce and away you go. These are the perfect party snack too. 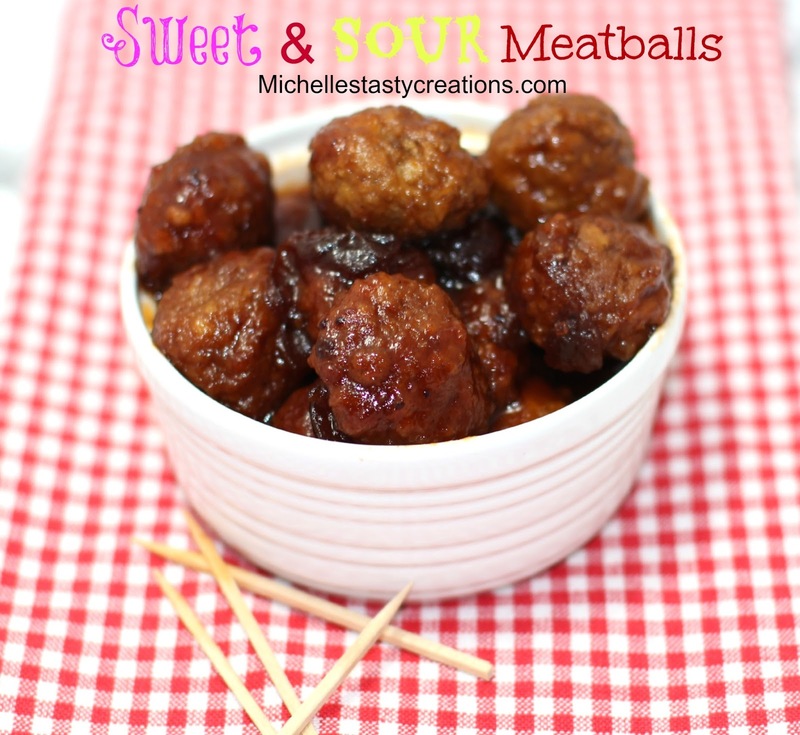 Keep these little babies warm in a crock pot or fondue pot, place a shot glass full of toothpicks nearby and they'll disappear faster than you can say "Meatball"! In a large stock pot place all the sauce ingredients and mix well. Add the meatballs and stir to coat. Bring to a simmer and cook, covered, for 1 hour. Serve while hot or warm. If using a crock pot, follow the above instructions and cook on high for a couple of hours or until they are heated through. These do look good. It's my kinda thing. These sound so good and so simple. Love Trader Joes. Yummy! I had a recipe like this years ago that used grape jelly in it. When I asked my husband he nixed the whole thing. I never made them, but cranberry sauce might make a good substitution. Or I just don't tell anybody what's in them. These sound soooo good. Great for our Super Bowl party!